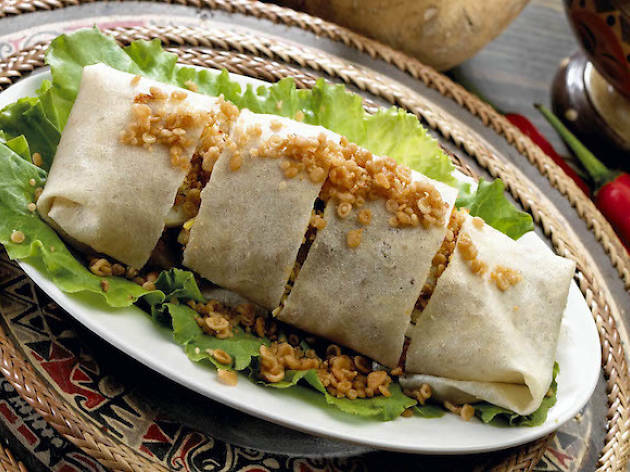 Brusque service, great popiah – guess we shouldn’t complain too much. Arguably one of the better tasting rolls ($2.50) around, while its no beauty – it arrives looking a little flat – the juicy turnip filling is full of flavor and rolled perfectly with a layer of crunchy batter bits, chopped peanuts, beansprouts, egg, julienned cucumbers and a generous drizzle of sweet sauce. 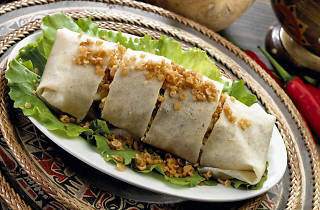 If you dare to ask for a customized order, request for a smear of potent garlic and a dab of chilli. Maximise your time and order the kueh pie tee ($4.80 for six) that arrives semi-plated with chopped egg on the bottom. Fill each to the brim and bite into the crispy shell that shatters on contact. Pro tip: If you’re hoping to snag a seat, head down by 11.30am. Any later and you’ll be left waiting, watching, and dealing with food envy.